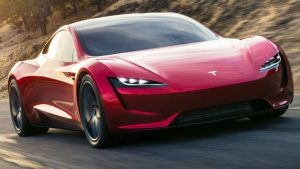 It was just a few days ago that Democrat legislators were screaming that there was not enough money for government-run schools, but now they are lining up to bestow tax cuts on rich drivers of electric sports cars. Democrats in the Colorado House of Representatives voted to continue this unnecessary perk for the benefit of corporate executives, business owners, and virtue signaling trust funders. Also this week, Democrats voted against 529 savings plans – with the laughable assertion that these are tax breaks for the rich. If you are a middle-class parent reading this there is an excellent chance that you have 529 plan for your kid(s). The massive hypocrisy of the Democrat agenda, asserting that a CEO’s electric car is more important that the educational savings of a child of a mother making $50,000 per year is astounding. It kind of makes sense though. What good is a middle class voter to the Democrats anyway these days? Democrat politicians are not pulling in big campaign donations from middle class Coloradans squirreling away $100/month in their 529 plan. In fact, in 2013 the average annual contribution to at 529 plan was $453, and the average 529 plan balance was $2,331. Likewise, these self-reliant producers are not going to benefit from the Welfare State that the Democrat party has carefully built in exchange for a reliable voting block. This fact pattern reveals what the left truly thinks of the middle class – that is, not much.